A shot I grabbed in a second. 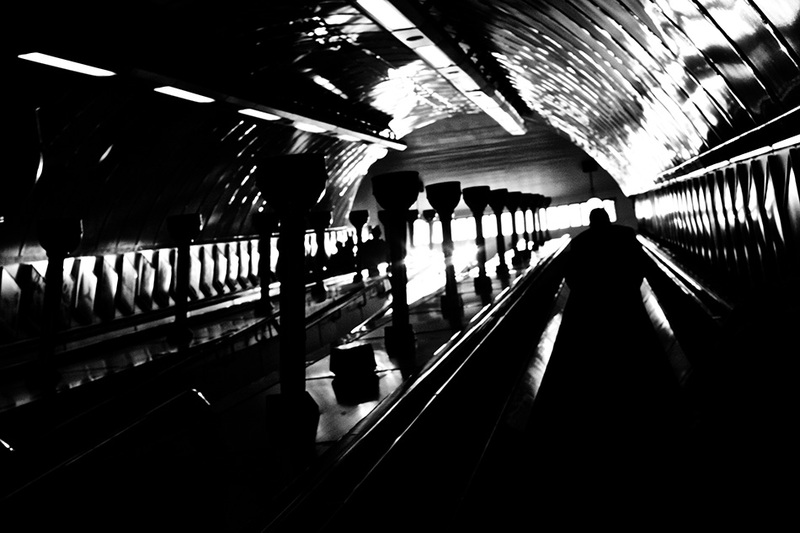 As I rode the final escalator to the street level I noticed the beautiful quality of light ahead. Luckily my camera was at my side and there it was. There is something nostalgic about this shot. Technique: Unlike most of my work this one was taken in JPG with in-camera conversion to red-filtered B/W (back in 2006, when I didn’t know any better!). The lens used is small manual focus 35mm Zeiss Flektagon (an old East German lens of the 1970s). It is not as sharp as a modern lens but it is tremendously light and portable, has good contrast and very nice bokeh. I can usually tell which photographs I used this lens for just by looking at the patterns in the unfocused parts of the image.